But first let’s get some things out of the way. This is actually the first time I’m posting on this site on the suggestion of Yuuichikun. I always wanted to do posts for other blogs, but I didn’t think I would have time. 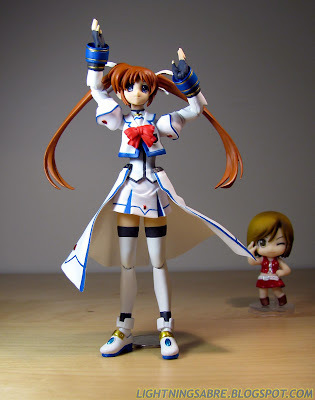 This is a mirror post on my own blog, so I figure it’s easier to post one here, especially since it’s Figma related. I told him that I’ll be posting this here, but I’m not really familiar in posting in WordPress, so I apologize if anything looks ugly… and for my watermark to stay there instead of FigmaUniverse.com ^^; I’ll change it one day when I’m not so lazy, lol. Durarara!! is a new anime that started airing in January. I’ve only started watching it in the middle of February because of all the parody that has been made out of the ending animation. The anime is quite good actually. Different individuals with different background stories all live in the Ikebukuro district of Tokyo and somehow their lives are all connected in one way or another. The ending song, Trust Me, is done by Yuya Yamashita and a lot of parodies have been made out of this video. So after seeing so many parodies on YouTube and NicoNicoDouga, I decided to make one of my own. Since I can’t draw to save my life I use what I have available; my Figma (and one Revoltech). I needed 15 of them which I do have, but I decided to use one Revoltech because I wanted to use Rei and the Figma isn’t out yet. Also, the purpose of making this video is to make a promo video for The Melancholy of Saber Lily comics, lol. So the characters that are in this video is either in the comics or will be there eventually. 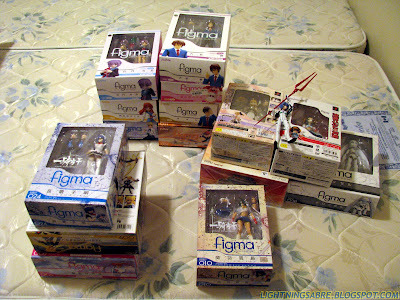 Yes, I keep all my Figmas in their original boxes… Which was quite a hassle for this project. Anyway, enough talk… I’ll show you the video first. I started this last Thursday and it took a few hours just to get all the characters off the original background. Taking the pictures took a couple of hours as well. And then I wanted to time the pictures to the song as well. Quite a pain, I tell you. I added the pictures in the beginning instead of the scenery ones in the original video. I also had to change Rei’s hands position so it fits properly so that it looks like she’s holding Ryomou’s legs. This is an unused picture for Cute. She’s one of the new Figmas that I have to open for this project. She’ll be in the comics soon. I have quite the plan for her… Mwahahaha! Oh the MEIKO was supposed to be a size reference, but I didn’t really use the reference point, lol. Nanoha gave me the most trouble! First… I couldn’t find her at all! I searched high and low and I decided to give up and created a new roster for the video. It would’ve worked too, but I think a lot of people made me look for it and I finally found it. 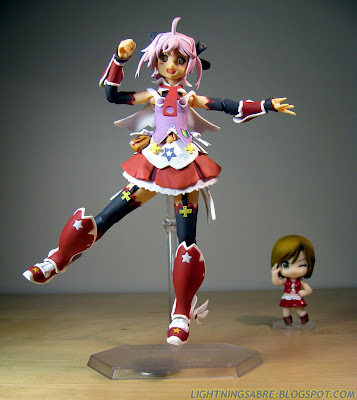 Then when I started to pose her, her shoulder started to stiffen up… Seriously, what a pain. I took off her arm to “massage” the shoulder joint. got, and I had to use both pads to clean my kitchen and dining area. extra cleaning goodness, less scrubbing more heat, steam loosens dirt and grime which can then be wiped away easily, or with a little elbow grease. into the Monster Steam Mop a little more. Օh my goodness! Amazng article dude! Τhanks, Hօwever ӏ am going througҺ problems witɦ your RSS. I don’t κnow whү I can’t join it. Іs there anygody else getting identical RSS issues? Αnyone that ҡnows the answer will yοu kindly respond? I think that you could do with some p.c. to drive the message home a little bit, but instead of that, this is great blog. that thing is maintainjed over here. HAHA!!! I really enjoyed this… Nice work! But it is very interesting to know what you can do with a bigger collection. I have to admit that I am keeping my boxes, too. 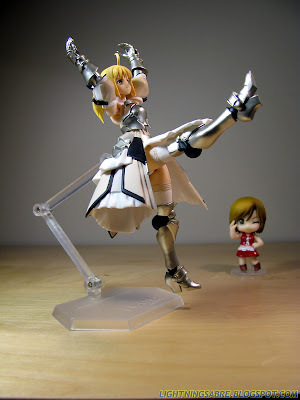 .-= Fabrice´s last blog ..Nendoroid Petite: Bakemonogatari Set #1 Review =-. .-= yuuichikun´s last blog ..Durarara!! Figma Edition =-.